The Wessex House, which welcomed our Public Meeting on the 28th of January, is planning a complete redevelopment. A scale model was displayed in the hall the day of the meeting. You can also check the presentation leaflet here, with plans for inside there. I read on the website: “A new application was submitted on in may 2004, which was subsequently refused in July 2004. 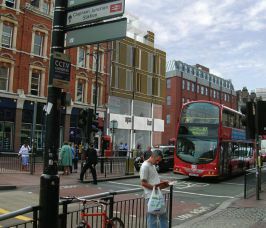 It was refused on the grounds that the proposed building would constitute an over-development of the site, by reason of its height and design failing to enhance or preserve the appearance of the conservation area“. 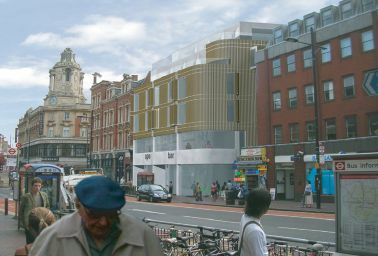 After talking to the architect, it appears that the Council thought it was 1 storey too much! 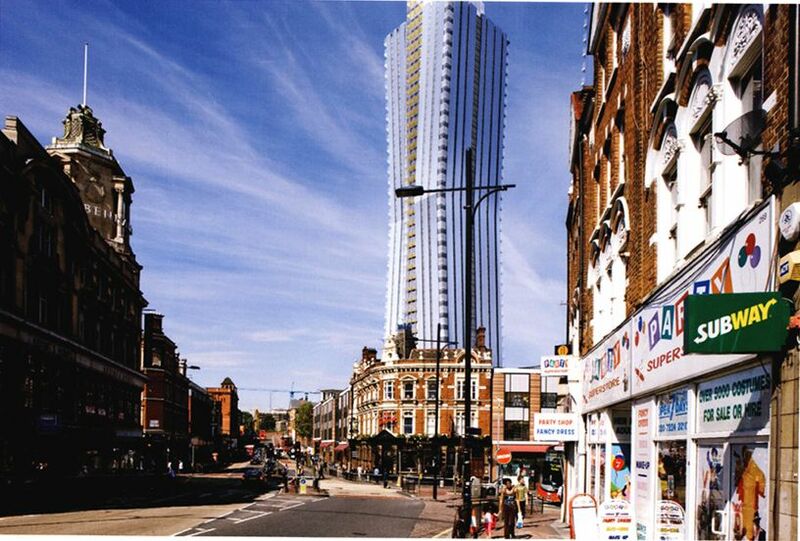 Regarding the Clapham Junction proposal of 2 towers of 42 stories that is currently being considered, don’t you think there is some irony? Do you think it would be appropriate to have this in front?